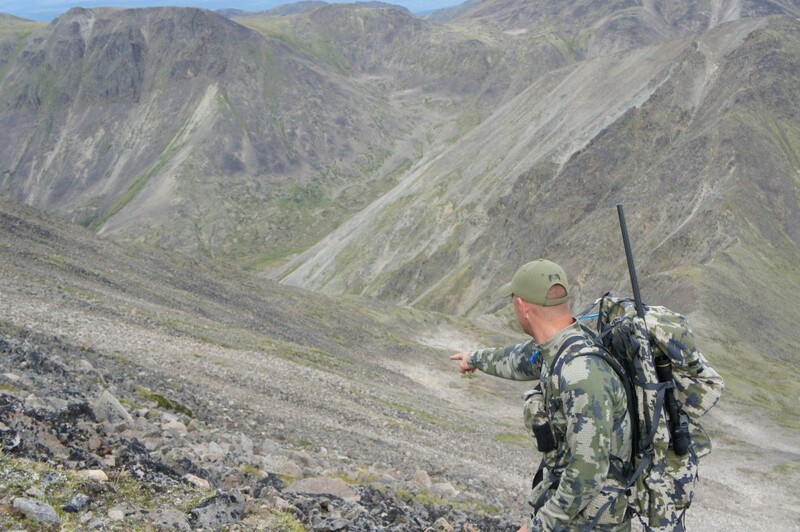 Brendan Burns, who manages KUIU Professional Services, just returned from an epic Stone sheep hunt in the Yukon. I asked him to share a photo essay of his experience. This trip turned out to be the type of physically demanding backpack hunt in which KUIU is designed to excel. These in the field experiences continue to help us push the envelope in testing and developing new products. Enjoy. Eighteen months ago, at the Full Curl Society banquet (www.fullcurl.org) and raffle, during the Western Conservation Expo in Salt Lake City, a nice young lady reached into a tumbler jammed with 2500+ tickets and drew one with my name on it. That ticket was good for one Stone sheep hunt! My luck did not stop there. The hunt would be with my good friend, Jarrett Deuling, of Deuling Stone Outfiters. 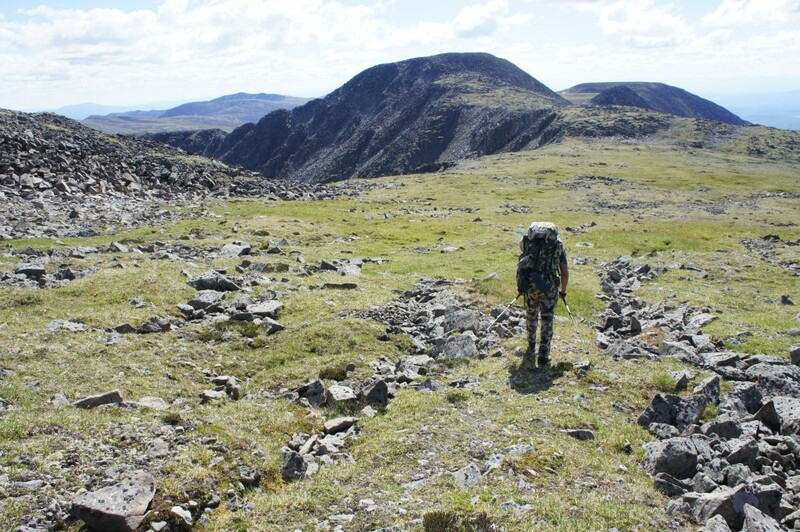 Jarrett is the owner and operator of concession number 9 in the Yukon territories. He is also a former professional hockey player. 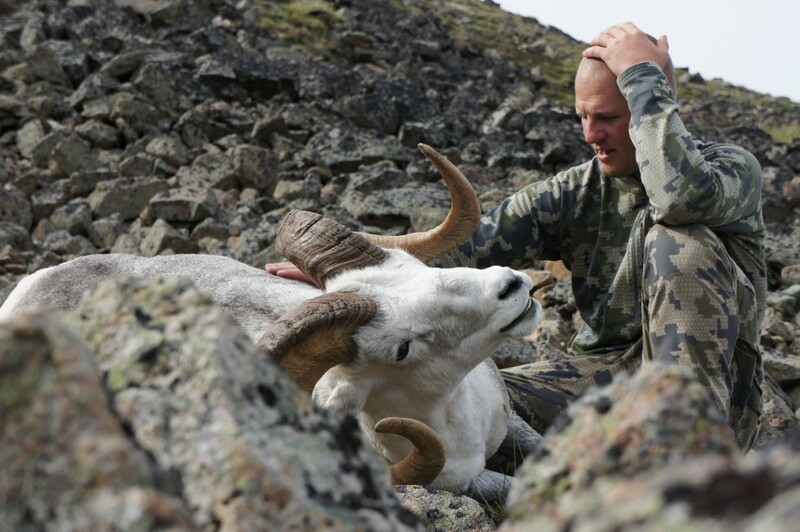 Since starting his operation in 2008, he has quickly established Deuling Stone as one of the premier Stone sheep, moose, and mountain caribou outfitters in the Yukon. Jarrett truly has some of the most remote sheep country anywhere. When I won the hunt, he asked me if I would be interested in doing an exploratory backpack hunt in some country that has rarely seen a human. He did not have to ask me twice! 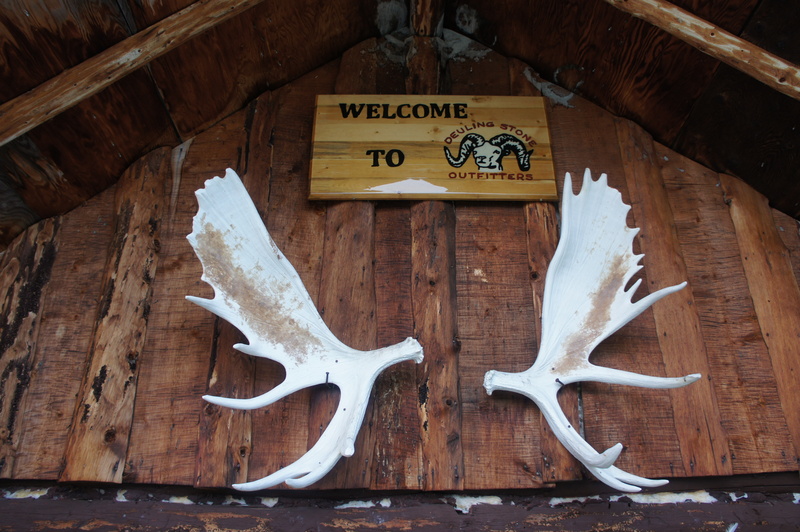 After what seemed like the longest year and a half in history, I arrived in Whitehorse, ready to chase the elusive Ovis Dalli Stonei. 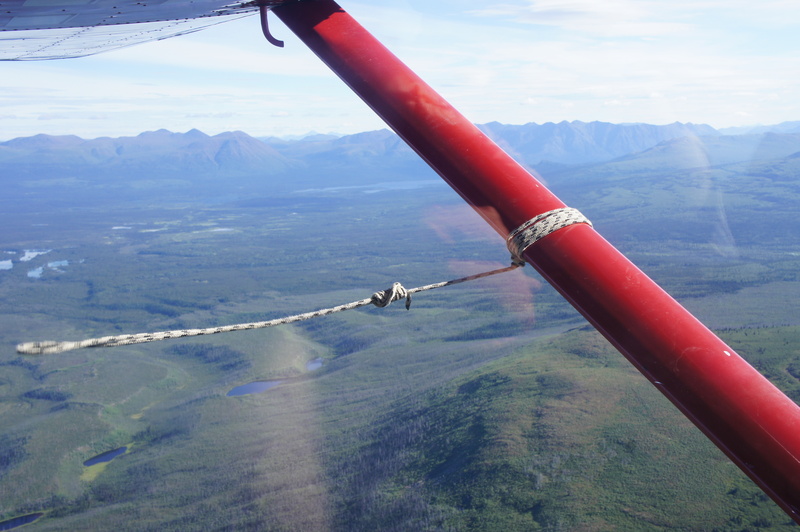 We took a Cessna on floats, into an unnamed lake for the drop off. 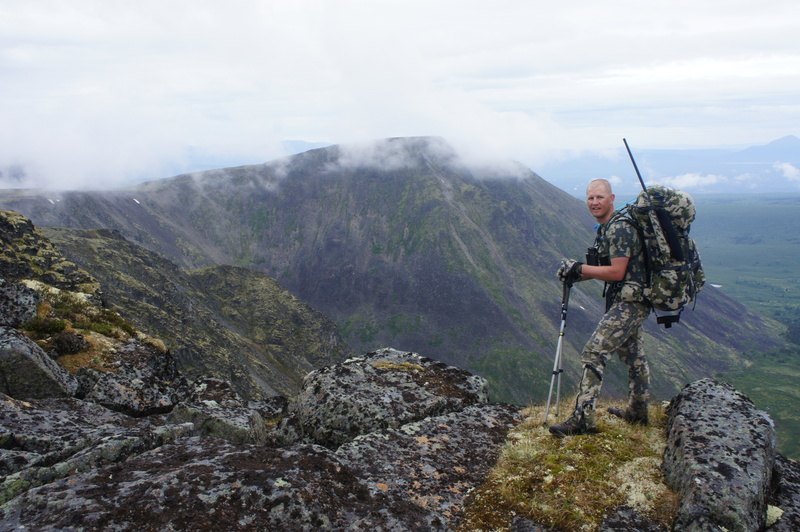 Jarrett conducted his rifle only, backpack hunts, with two guides, due to the remote area, potential length of the hunts, and the strict meat recovery laws in the Yukon. 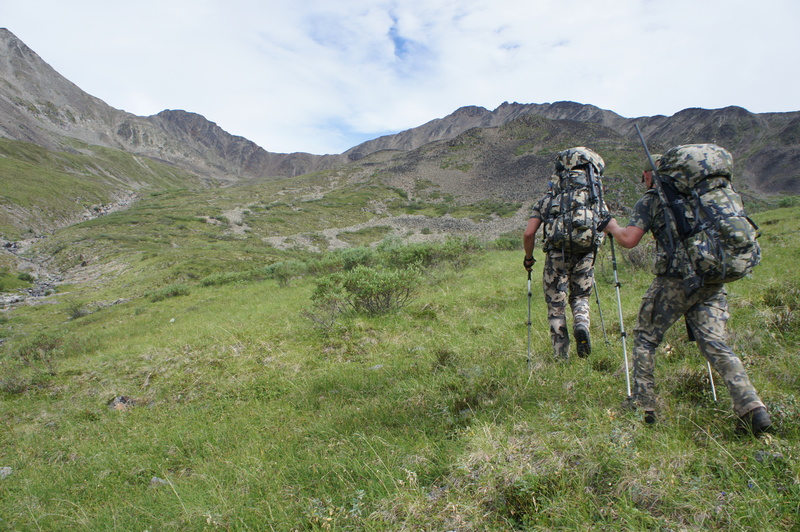 Bob House, a retired 12 year professional hockey player, who specializes in sheep backpack hunts, guided me on the hunt. Bob was beast of a guy and it came in handy on this trip. 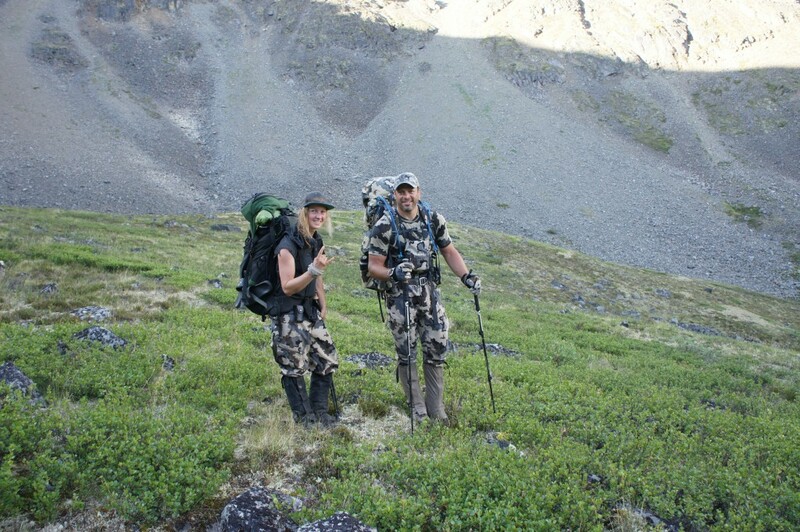 Also guiding with Bob on my hunt was Karla Charlton. Karla was a full time guide for Jarrett and an award winning snowboard videographer in the offseason. Both were tough as hell! 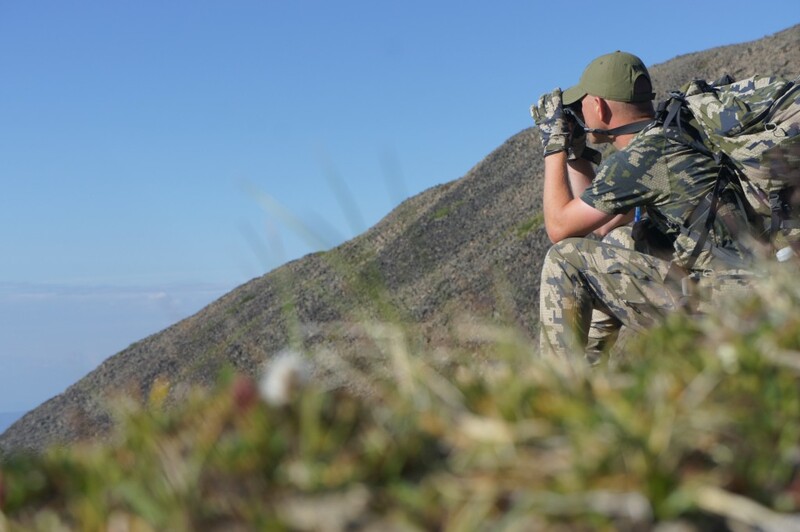 We planned on this hunt being no less than 12 days, with the possibility of more if needed. 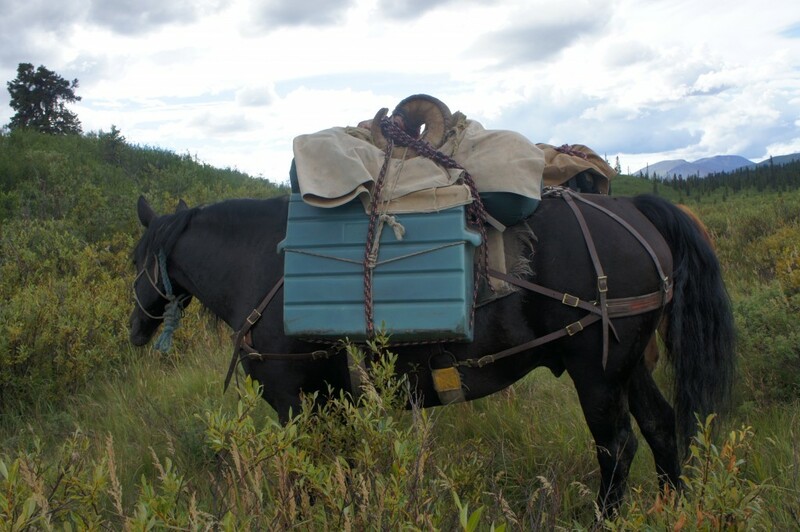 We all carried our own food and split up the shared gear (stove, fuel, tents, spotting scope, ect). Our first destination to begin looking for rams was a little over 20 miles from the lake. 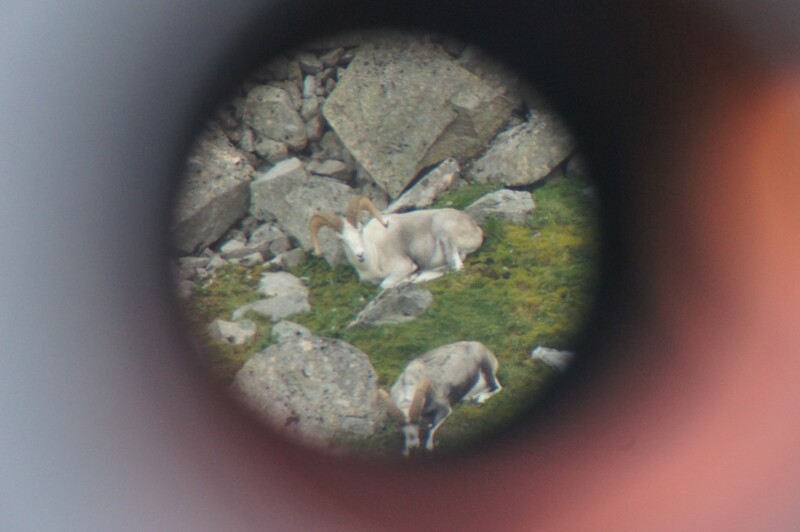 After a grinder of a first day and four hours of the next, we arrived on a mountain block we hoped held rams. My goal for this hunt was pretty straight forward; I wanted an old, dark stone ram. Anything else would be a bonus. 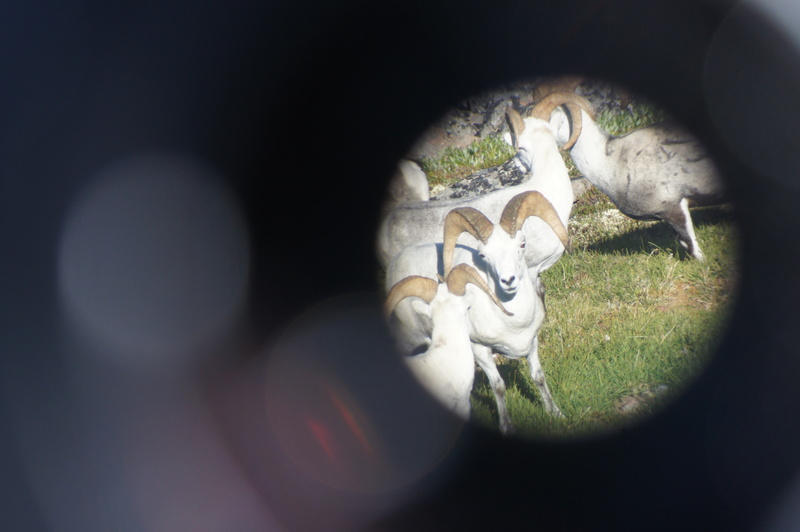 After glassing a few basins we turned up a small band of rams. The next day, we got closer to the band, with high hopes of one being a shooter. 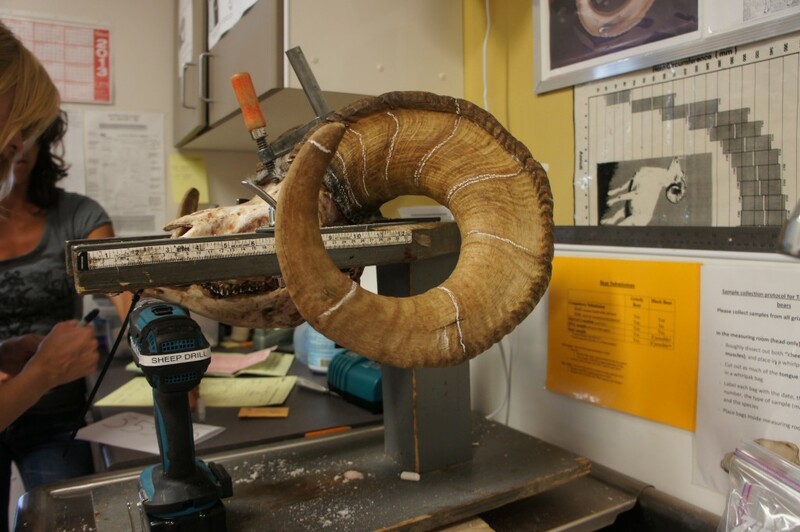 Unfortunately, the oldest ram was only eight and unusually light for the area. Not a sheep we were interested in taking. After fully covering the mountain block, we decided to make a big move to another range in hopes of finding an older ram. Walking away from a legal stone ram can sometimes not be the best idea. But, we were confident we would find better. It was the last ram we laid eyes on for a week. They say a picture is worth a thousand words, but when it comes to hiking day after day, looking for one big stone ram, it is easier written. 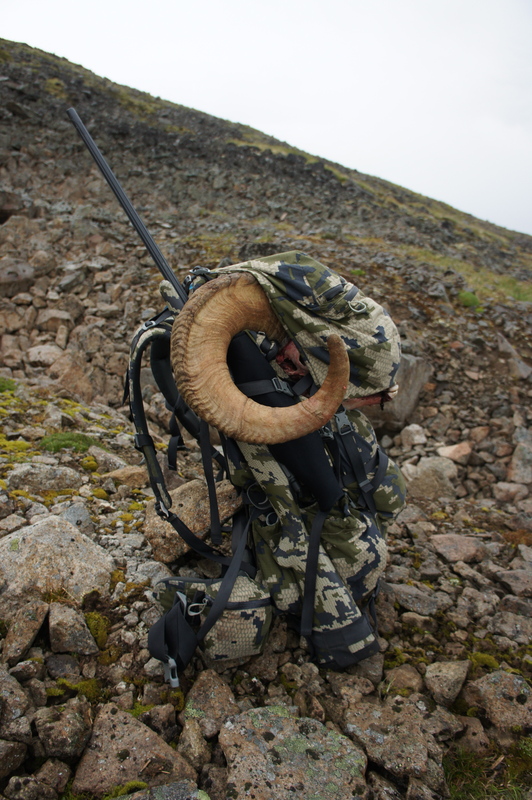 Over the next seven days, we pounded close to 70 miles between two mountain ranges and failed to turn up a single ram. 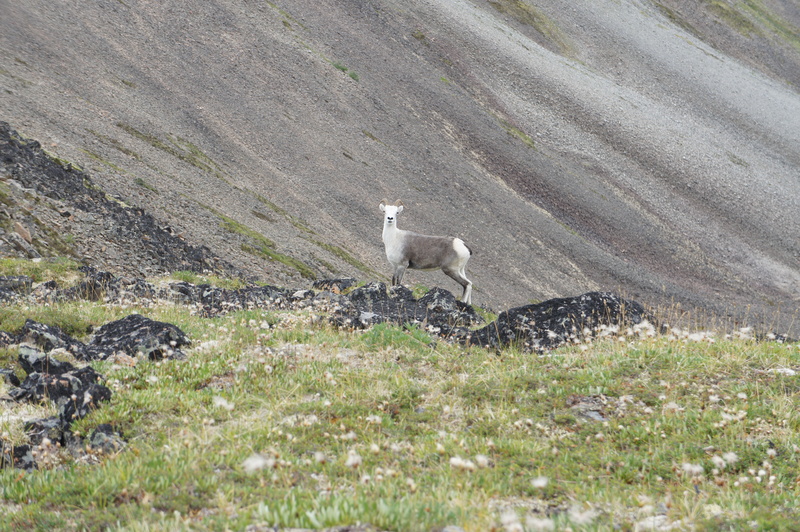 Stone sheep are low-density animals that are dispersed over big areas. It is like looking for a diamond in a gravel pit. They are there, you just have to look hard and cover enough country to find them. 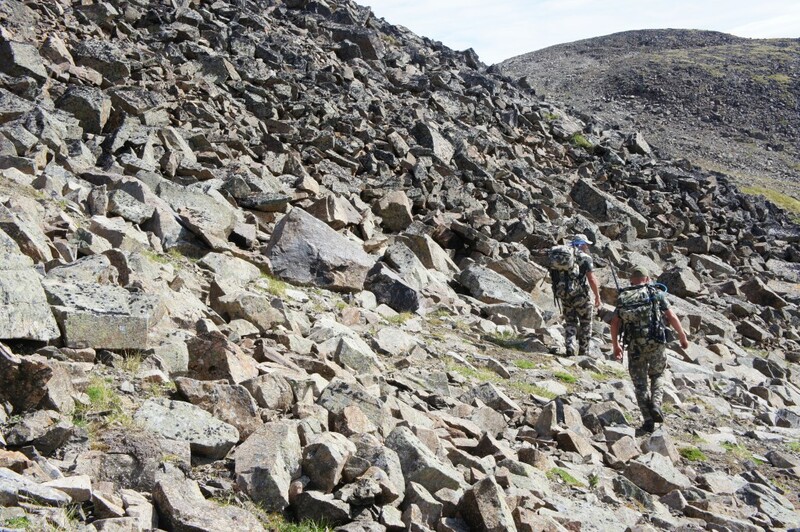 A good attitude, patience, hard hiking and some good glass help, but do not guarantee success. 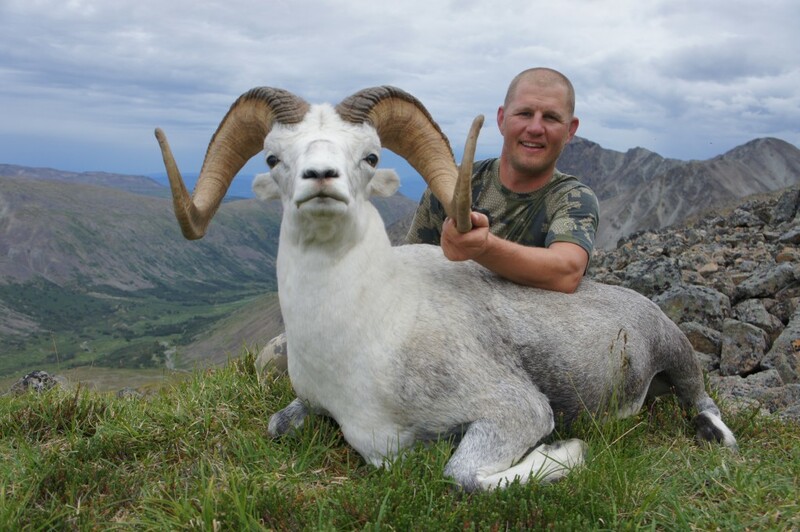 It is not easy, which is the reason stone rams are often considered the hardest to hunt of the four North American sheep to take. 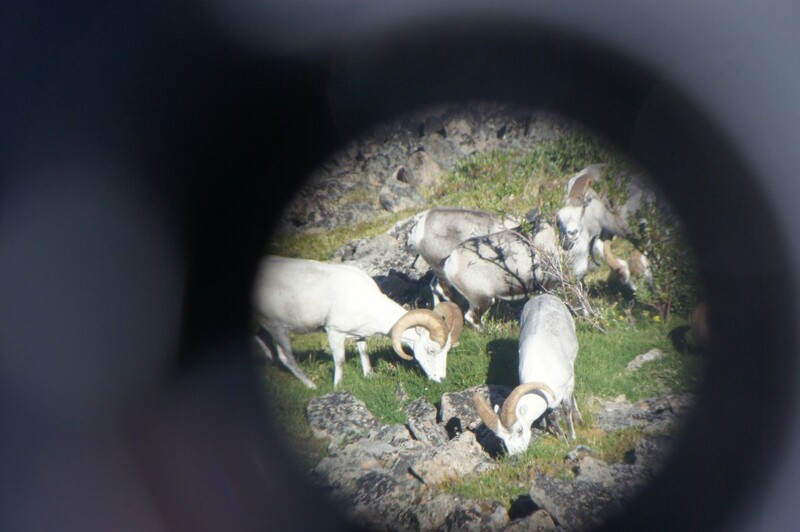 So we hiked, climbed, and glassed enough great looking sheep country to hold 100 rams. Our food supply slowly dwindled, our clothes got looser, and the country got rougher. The weather was great, the country was spectacular, and our gear performed flawlessly. It was a dream trip, minus the big ram. And just like what is supposed to happen when you work hard, stay positive, and keep focused, we had some good luck come our way. On the tenth morning, we peeked into a beautiful hanging basin, not unlike the 50 we had looked into over the previous nine days. The difference in this basin was a big stone ram feeding on the skyline 1500 yards away! 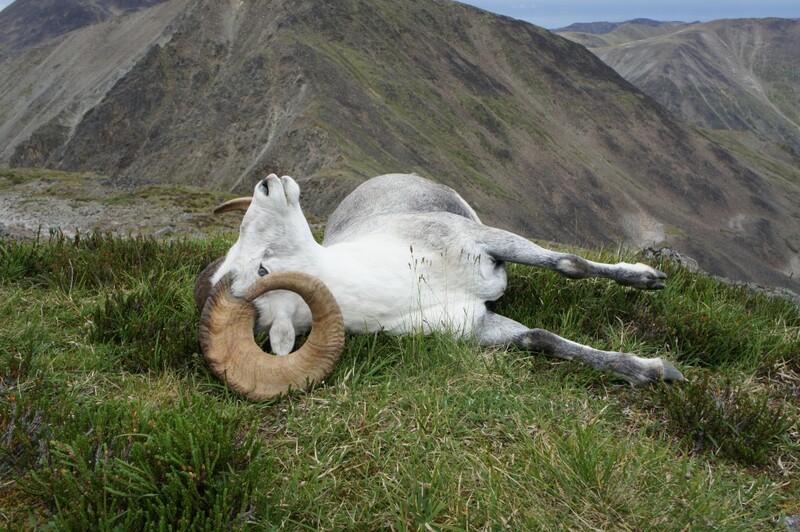 There was no doubt that this was the ram I had been dreaming about since winning the hunt. The ram was in a bad area for us to get on him, so we waited for him to make a mistake. Over the next 10 hours the ram fed, bedded, moved, rebedded while slowly working closer to our position. 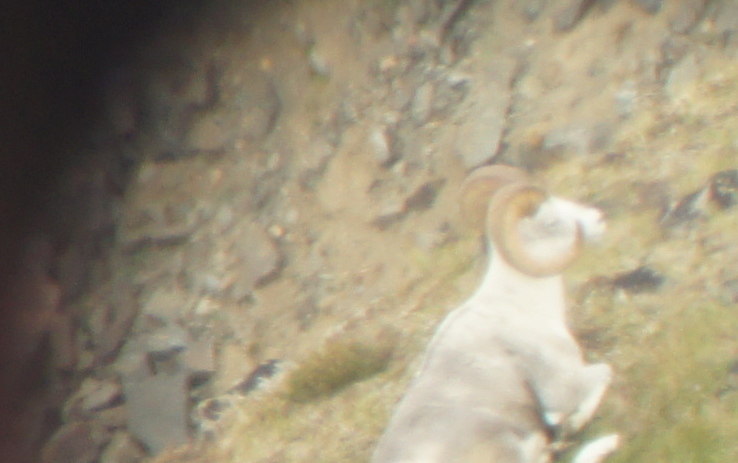 At 5 pm, the ram finally worked close enough to disappear out of sight below us. We made a quick move to close a little distance. 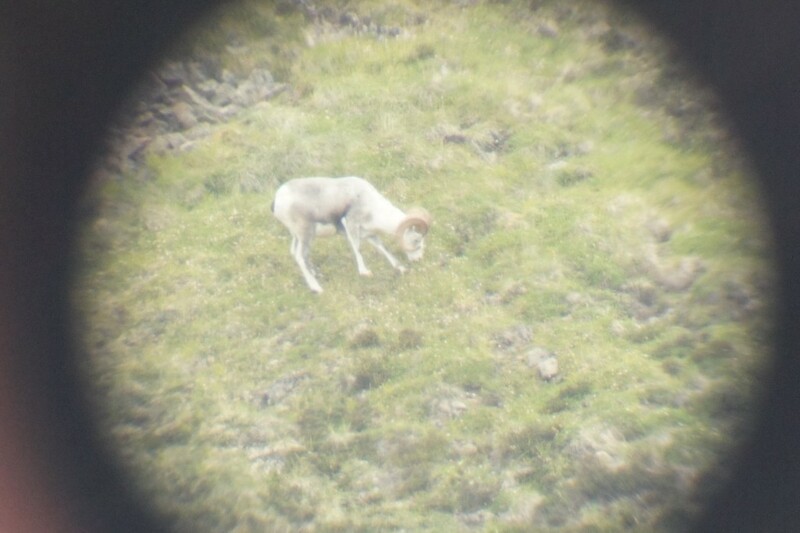 The ram was feeding below us and again bedded, facing away at 361 yards. 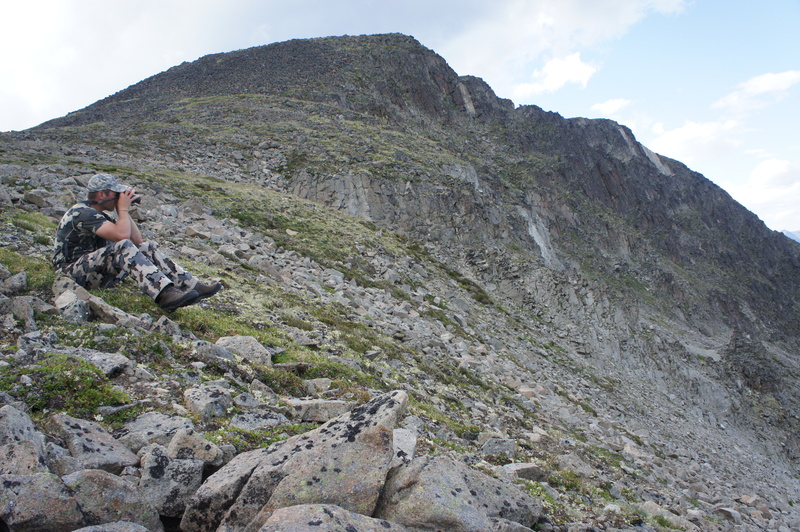 I had a great rest for my Red Rocks Precision Ultralight 6.5-284 and slowly squeezed off the shot. The ram never knew what hit him. The sense of relief upon making a good clean kill was overwhelming. I finally had a stone ram. We worked our way down to the ram we had all worked so hard to turn up. Words could not describe the feeling of finally putting my hands on one of these beautiful animals. 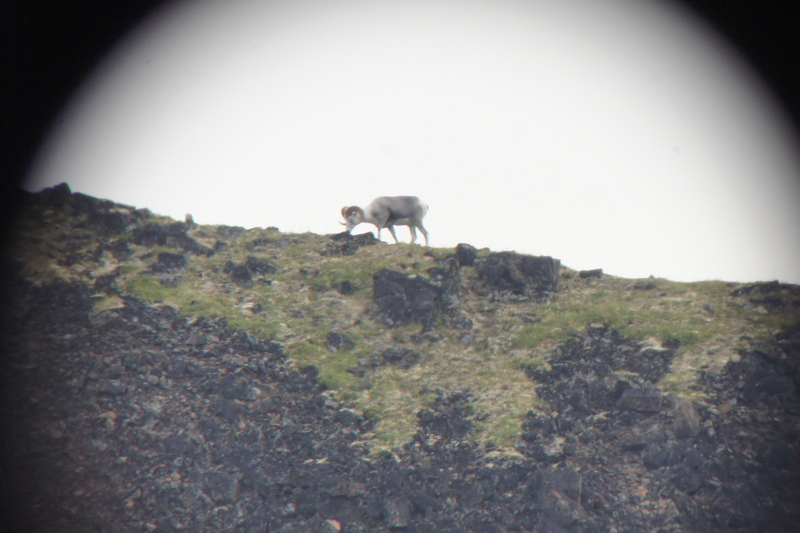 The ram was better than I could have hoped for: 10 ½ years old, over full curled, with a cape that was black, gray, blue and white. The perfect stone ram! We took our time to enjoy the ram and the great setting. 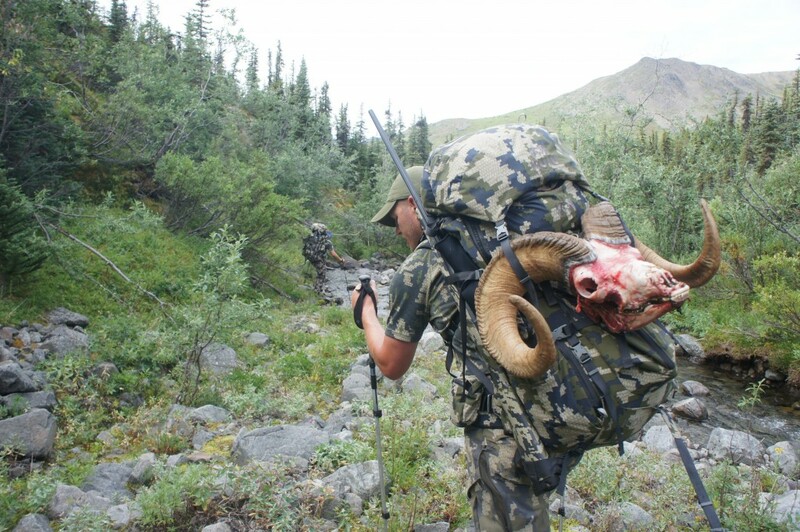 After pictures, we processed the ram and packed him up for the two hour hike back to camp. There we enjoyed one of the best wild game backstrap feasts on earth! I cannot think of a better ending to a hunt I never even thought I would get a chance to go on. 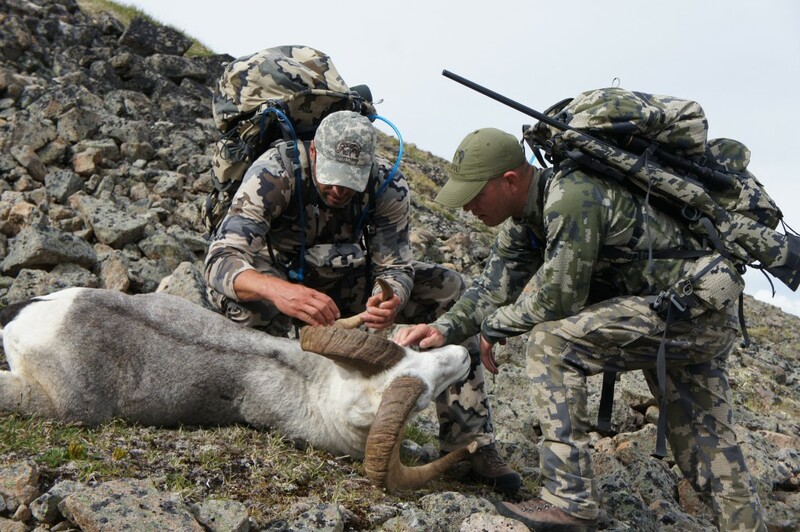 I want to thank Full Curl for creating the opportunity, Jarrett Deuling, for setting up such a great hunt, Bob and Karla for doing whatever it took to find me a ram, and most importantly my wife, Beth, for being so understanding of my hunting addiction. Congrats Brendan! I’m hunting Stones in 2015 and can only hope for half the adventure you had. Great ram! Good for you…Congratulations Brendan!! Good to hear from you Brian.. You guys are doing the mount at Dakota. Cant wait to see it finished. Looks like a great trip, guys! Comgratulations! Congratulations on a magnificent stone sheep. Can you provide a gear list? Jason and I are both getting back from hunts and will have a full gear list update. Really felt like I had it pretty dialed on this trip. Thanks for the reply. Congratulations Brendan – Great Ram and story. I bet that was the best backstrap meal ever! Best wild game I have ever eaten! Thanks for the comment. Congrats, on the Stoney. Any one notice that gun sling…where can i get one?? I tested several great new products we will have out shortly.. The gun system worked great. Not sure when it will be available. Good eye on spotting it. Congrats!!! What a beautiful Ram and an awesome story. 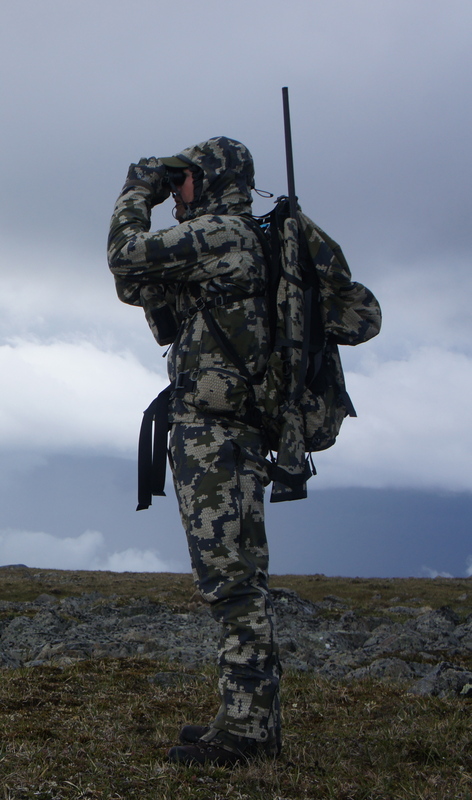 Kuiu gear is the best around. Thanks for the feedback Wesley. I agree. Nice!!!!! Great story Great ram congrats ! You are correct Matt. Good eye on the rifle holder. More to come on that shortly. Awesome!! I 2nd a gear list! Would love to see what you needed and lived without (or could have looking back) for 12 days!! Congrats! Amazingly epic trip even if it does have Don Peay’s name associated with it. 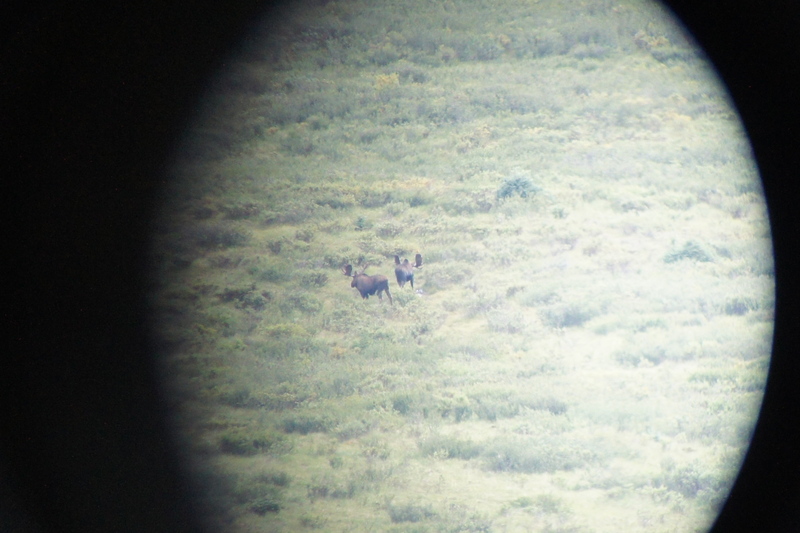 As a winner of a similar trip myself from the RMEF I can totally appreciate how awesome it is to experience a hunt like this that wasnt even in my wildest dreams previously. Full Curl is a solid organization that has given many guys like myself the opportunity to experience some great sheep hunts.. They get a thumbs up from me! 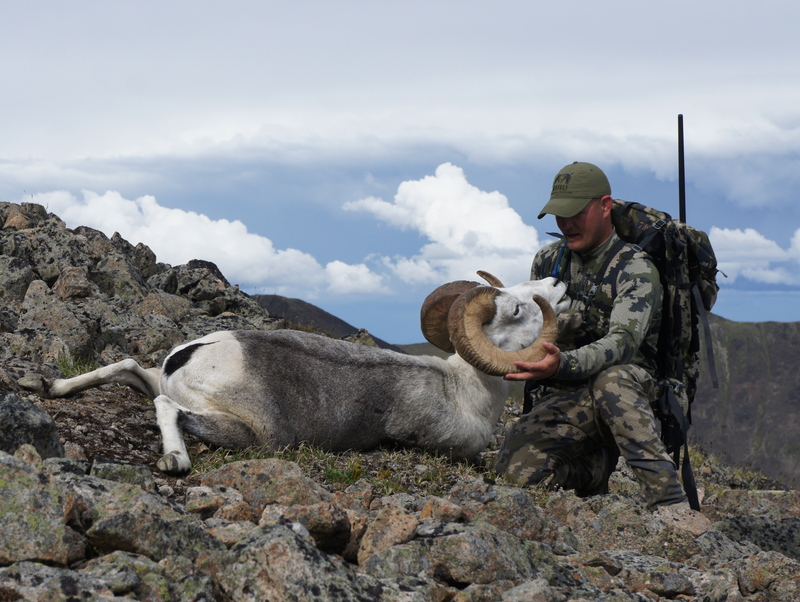 Congrats on a great hunt and adventure and of course a great Ram. 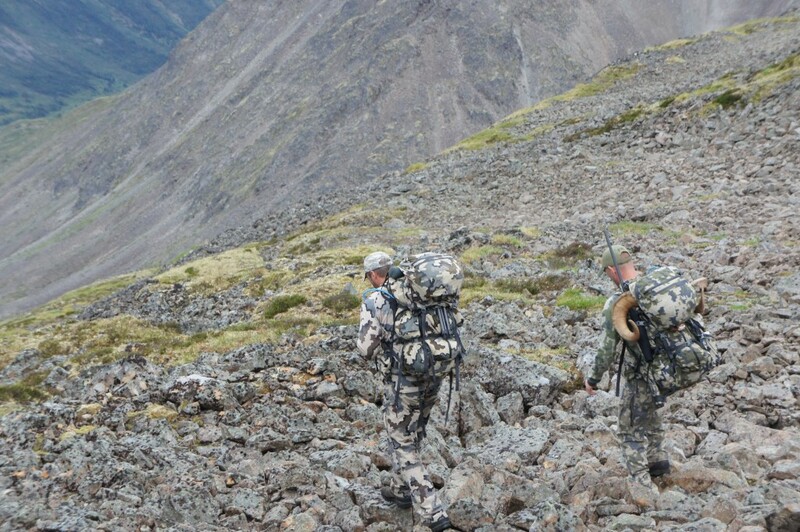 KUIU does a great job for us all! Thanks for sharing your adventure!!!! Thanks Shane. Hope everyone gets a chance to put their hands on a stone at some point. Hard to describe. 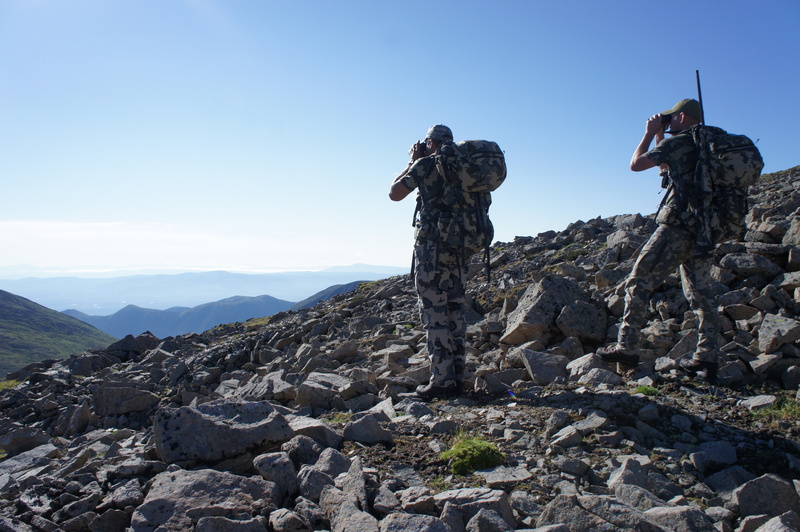 To me, nothing compares to a hard earned mountain trophy. Thanks Alvaro. You are correct. The harder the more memorable. That is the beauty of sheep hunting. Hope all is well on the other side of the world. Very nice photos! Looks like a great trip! 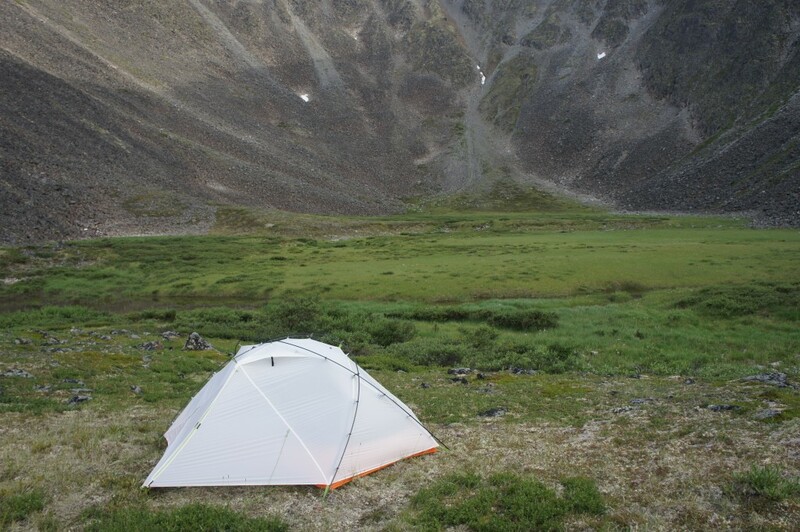 What tent is that white one? The tent is ours. More on that shortly. Performed great. Awesome adventure!!! Congrats on a fine ram. Congrats on a truly once in a lifetime hunt. 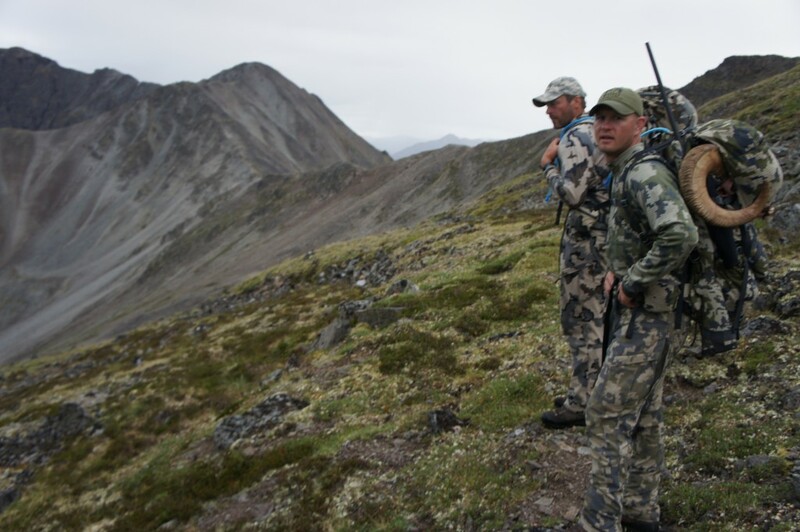 It’s amazing to see all the guides and outfitters wearing Kuiu products. Thanks Keith. 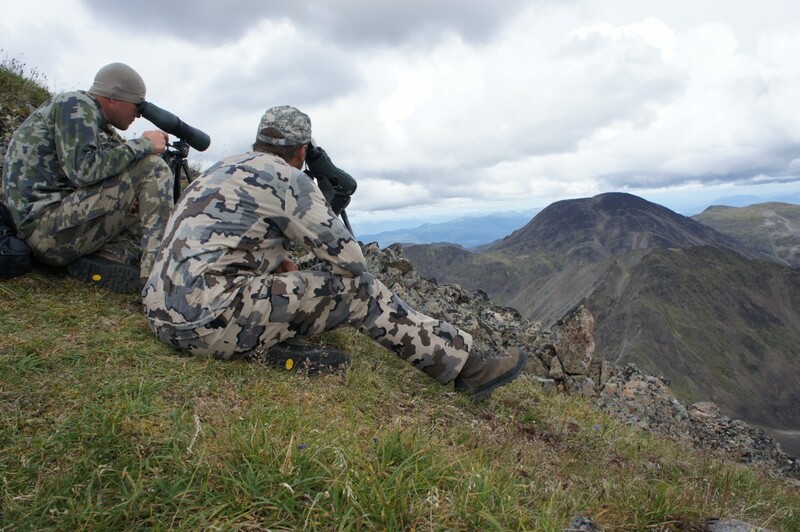 It is awesome to see how many hunting guides love our gear. Cant blame them! Great story that climaxed to a mature animal worth hanging on your wall. You got our S&P Brendon! Alex, You are correct on the Stone’s.. Ill get that right on my next hunt. Thanks for taking a look. Nice ram Brendan. Congrats man. Bobby House is a beast huh as well as a great guy. You are a lucky man. Good to hear from you Terry. Hope your fall is going well and you are going to get to chase sheep for yourself soon. Bob is a great guy and a tremendous guide. It was a pleasure hunting with him. Wont be the last time. Sorry Tom.. I guess that is your last name. Thanks again.. Phenomenal work Brendan, truly a epic ram and one heck of an adventure. I 3rd a gear list. Gear list will be up shortly. Thanks again for taking a look. Brendan, Congratulations. Yes that is truly a beautiful stone sheep with everything and more. Congratulations on a very hard hunt with a great outcome. boyd. Thanks Boyd. Glad to hear your trip to NWT was a success. Ahh yes.. The Rifle I used on this hunt is a thing of beauty. 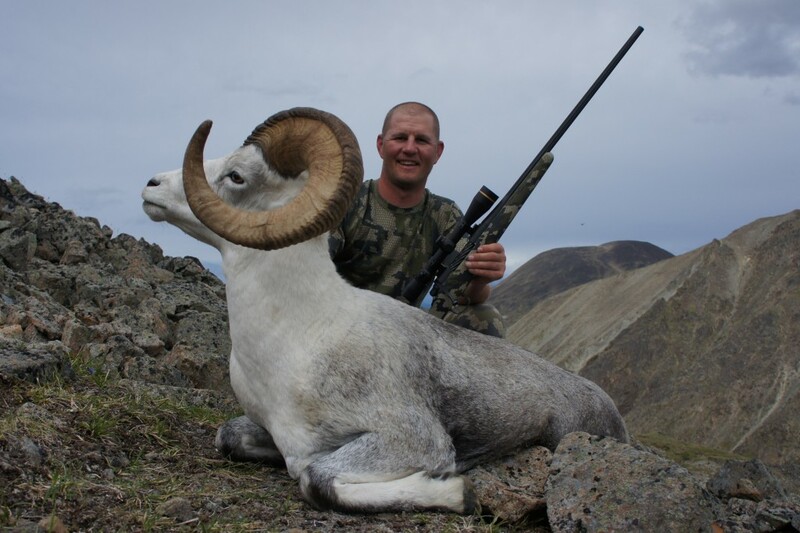 It is a custom ultralight sheep rifle designed and built by Todd and Curt at Red Rocks Precision in Utah. It is a 6.5- 284 with all the best components topped with a lightweight 4-14 leupold with custom turrett. 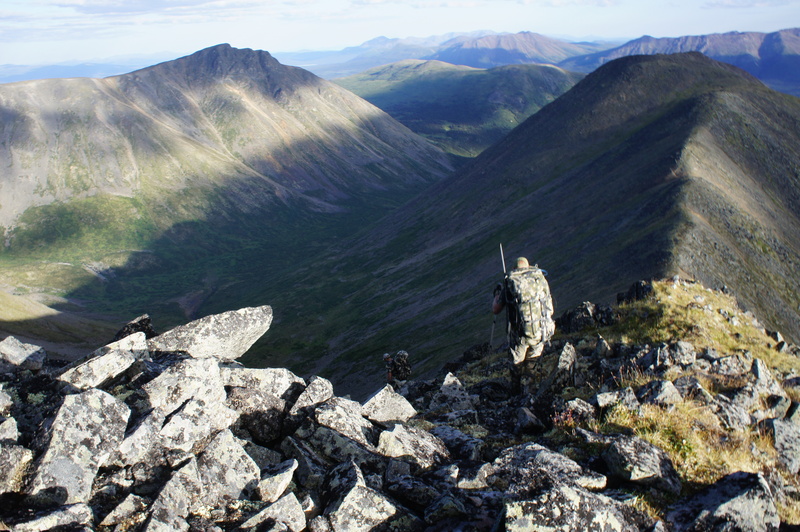 The rifle is basically a 6.4 pound ( with everything) 700 yard mountain hunters dream. It is the best shooting, easiest carrying, most accurate rifle I have ever used. More to come on the rifle shortly. I’ve been waiting on this story. HUGE congrats!!! Brendan, congrats on a true monarch of the mountains. The mental toughness required for a hunt of this nature must be focused and rock solid. Without that, your physical abilities fail early and you can never recover. A trophy of a lifetime! Thanks for sharing. amazing pictures, great ram, where did the rifle come from? The Rifle was built by Red Rocks Precision. Cant say enough about the performance and function of this lightweight rifle.. More on it shortly. Thanks Paul.. Nothing like what you take.. Its still ametuer hour with me on the camera. Glad you like them. Looking forward to hunting with you again. Dream come true !! Congrats Brendan and way to put out the effort physically and mentally to get it done. Thanks Mike. Hope you are having a good season. Congrats, Brendan! That is truly a gorgeous stone sheep.